Négociant buys 32-acre Resonance Vineyard; Veteran Jacques Lardière will make wines. 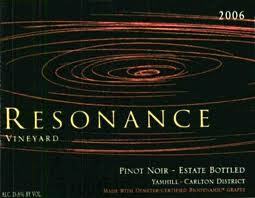 The property is the 32-acre Resonance Vineyard in the Yamhill-Carlton subappellation. Situated on a curved hillside facing southeast, south and southwest, it’s currently planted with 19 acres of Pinot Noir, planted between 1981 and 2006, and 1.5 acres of Gewürztraminer. The property has previously supplied fruit to Lemelson Vineyards, Sineann, and Big Table Farm. “We were impressed by the quality of the wines we tasted from Resonance Vineyard,” Pierre-Henry Gagey, president of Maison Louis Jadot, told Wine Spectator. Its immediate neighbor is Gran Moraine, a 460-acre property recently purchased by Jackson Family Wines.